I don’t think I’d ever heard of Zion National Park before visiting as part of our three month USA road trip. It’s definitely a popular National Park (one of the most visited in the US!) but it’s not quite on the level of The Grand Canyon or Yosemite, at least when it comes to how well it’s known in the UK. 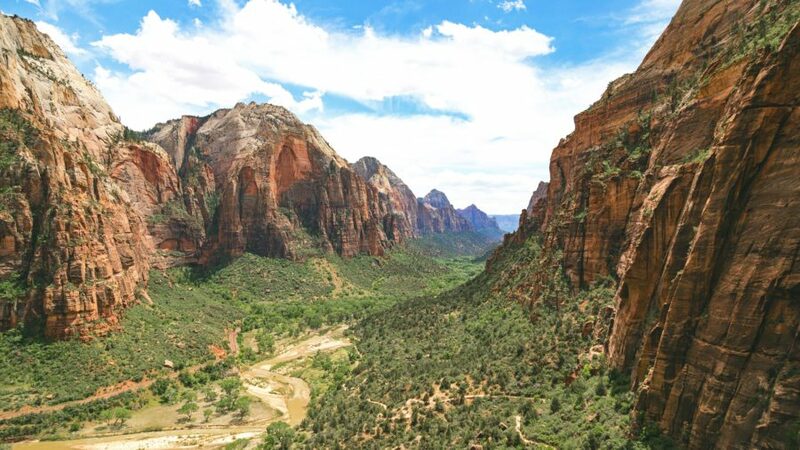 If you’re wondering whether to visit Zion National Park, Utah then the answer should be “yes, absolutely!” This National Park has plenty of things to offer from jaw-dropping views, fear-inducing hikes and incredible geology. 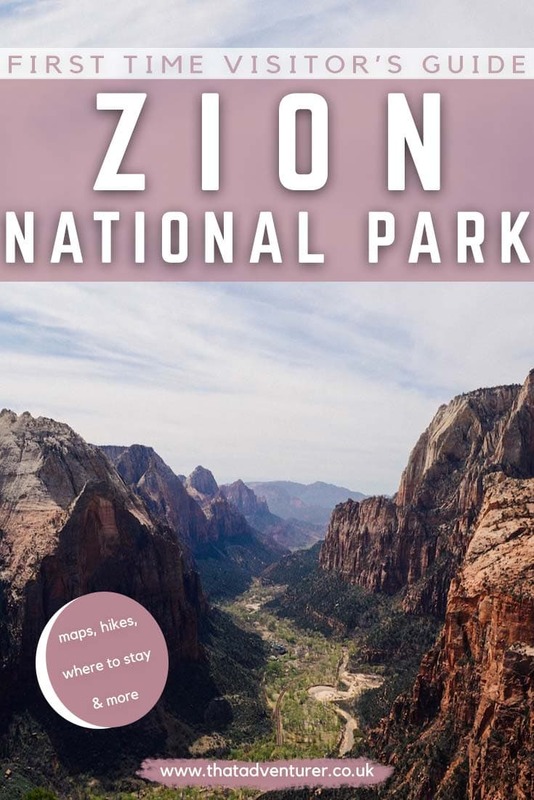 Whether you’ve been before or you’re visiting Zion National Park for the first time, here’s everything you need to know and the best things to do in Zion Park, Utah. 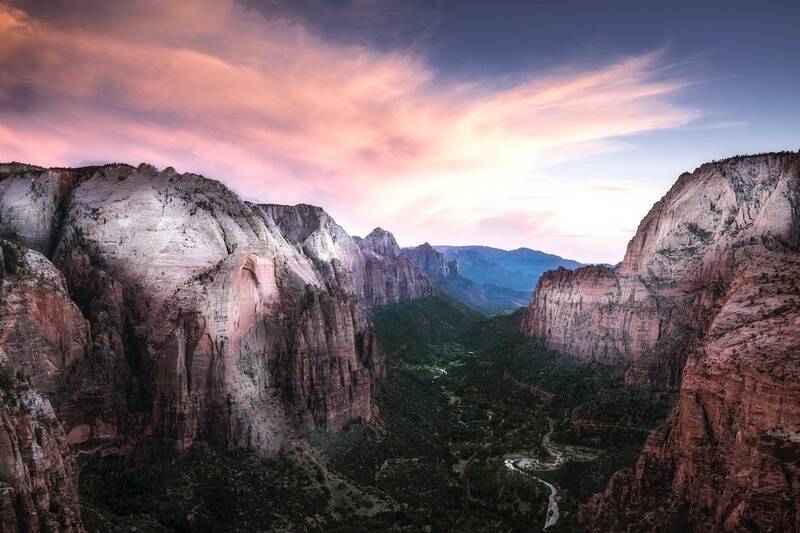 “Zion” means a place of peace and refuge and this National Park is a sanctuary with over 146,000 acres of cliffs, canyons, diverse plant and animal life, and uninterrupted beauty. Unlike the other National Parks we’d visited before arriving in Zion, Utah, the main areas of Zion National Park are on the canyon floor. 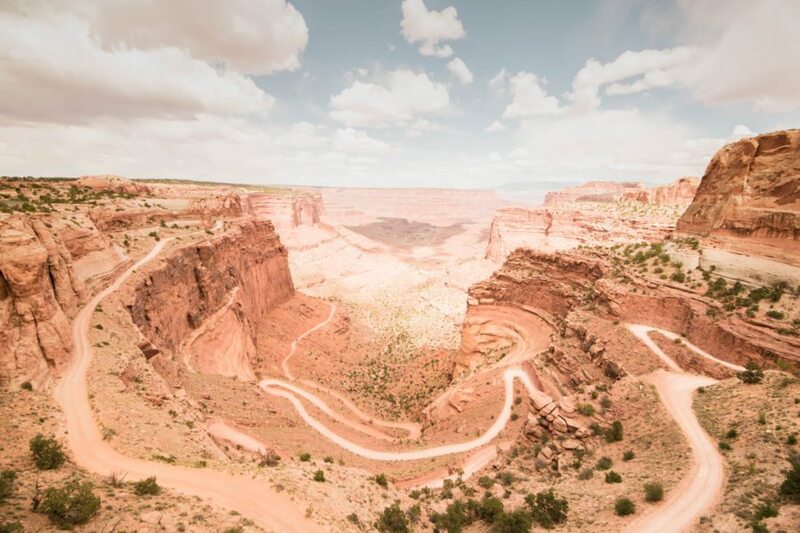 You’ll spend a lot of time looking up to the top of the canyon (a little like in Yosemite), rather than looking in like at Bryce Canyon or the Grand Canyon. Zion National Park is one of the most visited national parks in the United States and was the first National Park in Utah. For this reason, you can only access the park by shuttle bus and you can’t expect to have places to yourself. Having said that, things do tend to get quieter when you embark on one of the hikes in Zion. Zion National Park was carved by water and a lot of time, the parks main features consist of the Virgin River, the colourful rocks or mudstone, limestone, siltstone and sandstone rising 1000s of feet into the sky, slot canyons, over 200 species of bird and greenery. 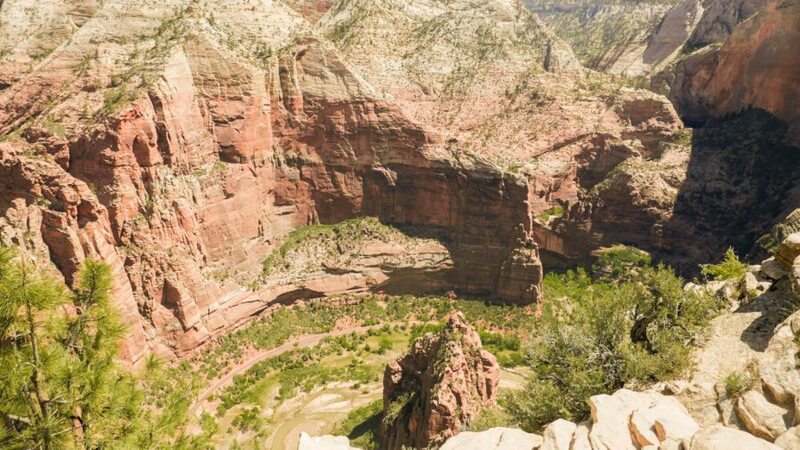 The elevation of Zion National Park ranges from 3,500ft to over 8,700ft (1,066m to 2,650m). The weather in Zion varies and the canyon is at risk of flash flooding. Always obey warning signs when it comes to flash flooding in Zion National Park as you most definitely don’t want to get caught out by this. Check these Zion weather guides to discover the best time to visit Zion National Park. 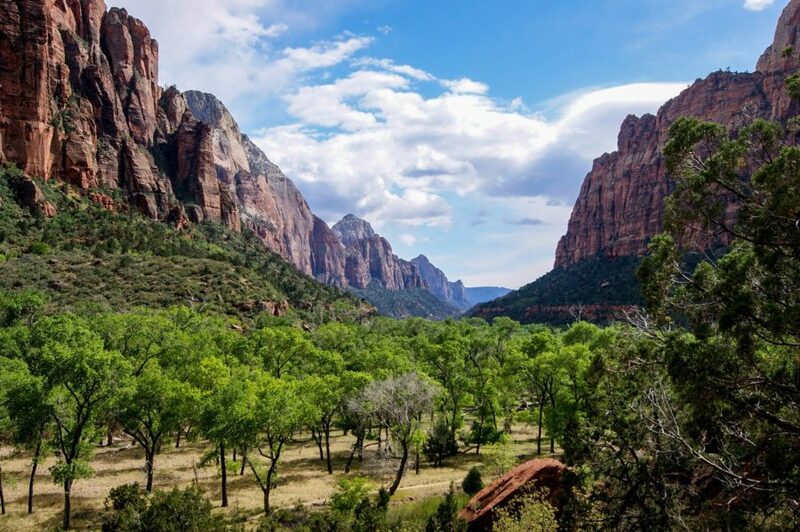 In the spring: Zion is typically warm and sunny but it can very quickly change and become wet. It’s usually wettest in March when the snow starts to melt and the high water levels created by this can last until May. If you’re visiting Zion in spring be sure to pack lots of layers. In summer: Summer in Zion is usually very hot with temperatures often in the high 30s°C (100 Fahrenheit). But don’t expect it to always be dry and hot, July to September is also monsoon season with thunderstorms, lightning and lots of rain. You’ll still need to pack for every occasion and never go out hiking without checking the weather reports due to the risk of flash floods. Autumn in Zion National Park: The autumn months see Zion’s trees turn gold, the temperatures cool and the rain slows down a little. Flash floods are still a risk and you’ll still want to pack layers but it’s a pretty good time to visit Zion. Zion in winter: Winter in Zion is cold and wet. It rains often and you’ll see snow at higher elevations. Some Zion trails are closed, mostly those that climb up the canyon walls. It’s still a magical place but not the most comfortable of times to visit. Check out this Zion Park map to get your bearings. We travelled to Zion after visiting Bryce Canyon National Park and thus came down the Zion-Mount Carmel Highway from the east. Your approach will obviously depend on where you’re coming from but the main entrance is from the south and the city of Springdale. There are two international airports close to Zion National Park. 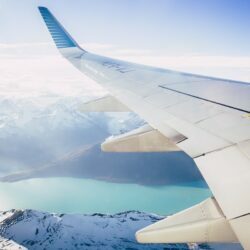 There’s the McCarran International Airport in Las Vegas which is a three-hour drive away and the Salt Lake City International Airport which is a four-hour drive. If you’re driving to Zion National Park here are some basic directions from popular places. If you need to rent a car definitely check out RentalCars.com, it’s super easy to compare rental prices so that you can be sure you’re getting a good deal! Take UT-12 west to Hwy 89 South then continue on Hwy 89 to UT 9 and head west towards the east entrance of Zion National Park. There’s plenty of signs are you get to enjoy a switchback section of road down into the canyon! 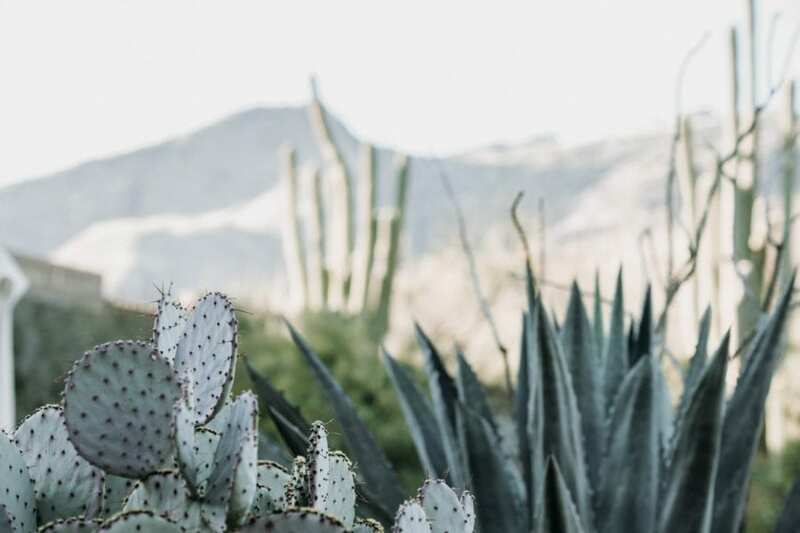 Here are some of the following permits, passes and fees you may need to pay during your Grand Canyon trip. If you’re entering by foot, bike or by taking the Zion National Park shuttle bus then the entrance fee is $20 per person and under 15s are free. There are 2 campgrounds within the main canyon area of Zion National Park: Watchman Campground and South Campground. Zion camping is only permitted in designated campsites and not in pullouts or parking lots. Both campsites in Zion are usually full by mid-morning and from mid-March to November you should expect to have reserve well in advance. You can reserve by calling 877-444-6777 or visiting www.recreation.gov). Campsites are $20 per night for individual campsites and $50 for group sites at the South Campground and at the Watchman, Zion Campground, they’re $30 per night for electric sites and $20 for tent only sites. If you plan on going into the backcountry, or the Zion Wilderness, then you’ll need an additional Zion National Park permits on top of the park entrance fee. Permits are required for all overnight backpacking trips, overnight climbing bivouacs, river trips and canyoneering trips as well as for the day hike “The Narrows” in Zion. You should reserve a Zion Wilderness Permit in advance of your trip to Zion. Permits can be reserved up to 3 months in advance of your trip. There’s also the possibility of getting a permit on the day, but this is far from guaranteed. A permit requires a $5 non-refundable fee as well as an additional fee depending on the size of your group. You can find more information about backcountry permits for Zion here. With so many amazing things to see and do at Zion, it’s hard to narrow it down to just five but I’ve given it a go. 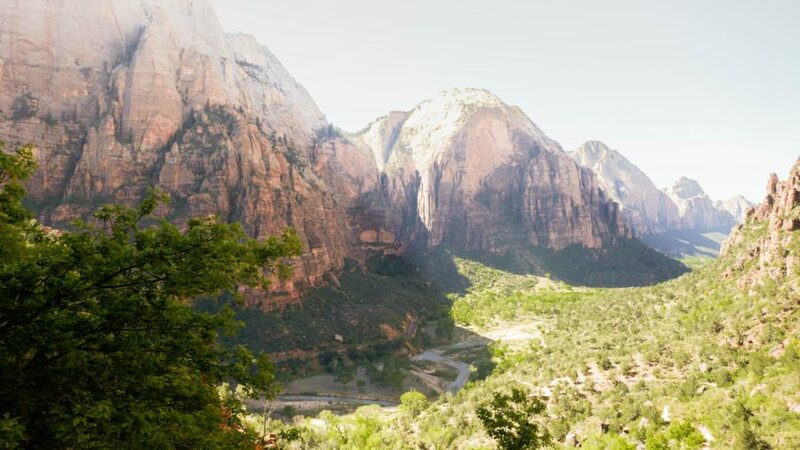 Here are a few things to do for those of you wondering what to do in Zion National Park. Want more great things to do in Zion National Park? 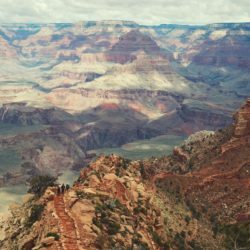 There’s loads of hiking to be done in Zion National Park here are what I consider to be the top Zion National Park trails. Want more Zion National Park hikes? Staying near Zion for a little while? 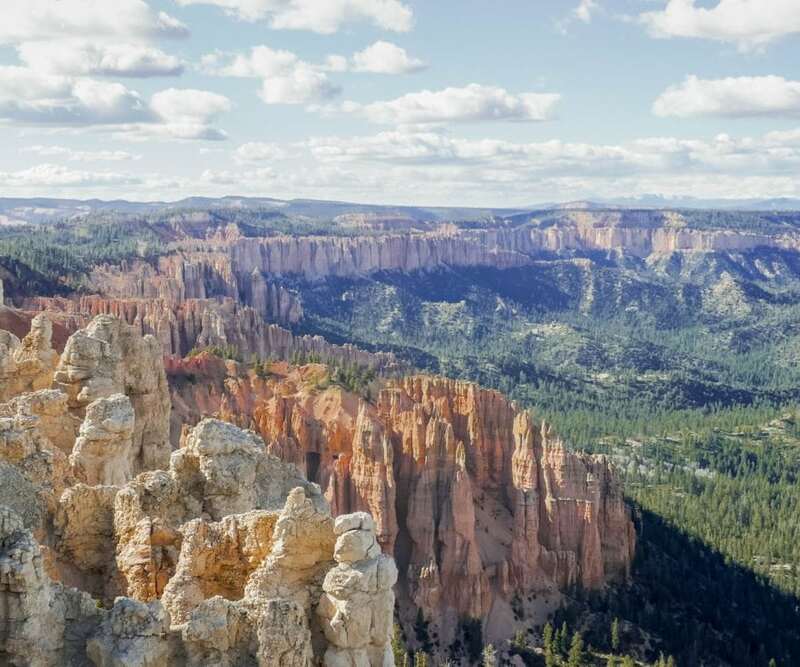 Make sure to check out these other great things to see near Zion. If you’re wondering where to stay in Zion National Park then this is the place. Zion Park Lodge is the only hotel within the park itself and this historic building has a mixture of Zion National Park cabins, suites and hotel rooms to stay in. It’s a perfect place to spend the night before or after a day’s hiking but you’ll need to make Zion Lodge reservations! Having the accolade of one of the US’ most popular parks, Zion is busy all year round. You won’t find a lot of peace and solitude here and parking within the park boundaries can be a nightmare. However, it doesn’t have to be by following a few simple guidelines for your Zion trip. Zion National Park is busiest from March to October. You should expect queues to enter the park and parking lots will be full before 10 am. If you’re planning a visit for later in the day then park up in Springdale and ride the free Zion shuttle bus into the park. At certain times of the year, you have to take a shuttle bus to explore Zion National Park’s scenic drive (not your own vehicle) but if that’s not your thing you can hike or cycle. Pets: Leashed pets may be walked on the Pa’rus Trail. All other Zion National Park hiking trails, and the Pall wilderness areas are closed to pets. Pets are not allowed on shuttle buses or in public buildings within Zion.